From the very first Nexus One to the latest Nexus 5, the Google-branded Nexus lineup has evolved from being just an ordinary handset to a handset that's class apart. And now rumors claim that Nexus 6 would also be insanely intuitive. In fact, Google Nexus 6 is set to become the most talked about handset of 2014, if analysts are to be believed. Even though the Nexus 5 handset, which was launched in late 2013, still has a lot of life left. But that doesn't mean Google won't come up with the next-generation Nexus phone with better build quality and premium hardware. And while rumors are still far from being true, we've already started to ask more questions about "the true Nexus" phone. It is rumored that Google is set to launch a new top-shelf smartphone and we can't wait to see what it's really going to look like! Well, exactly what it's going to offer, and whether it will have something to truly reckon with... that we don't know, but there are already tons of rumors and leaks, all of which can be used to paint a true picture of the Nexus 6. Of course, as always, all we can feature top 5 rumors about the Nexus 6. Take a look in the slider below! Google is reportedly planning to release an affordable (Rs. 6200) Nexus 6 handset. A report from Asia suggest that Google is in talks with chipset giant MediaTek to produce an entry level Nexus 6 phone. Apparently, the device could use a quad-core processor despite its low price. Google and HTC have reportedly signed a deal to manufacture the next-generation Nexus handset. Sources close to TechTimes claims the Nexus 6 to be manufactured by HTC. Apparently, Google wants Nexus 6 to look premium , just like the iPhone 5S. The report further suggest Google wants the 2014 Nexus phone to be known as a high-end handset. However, Google Nexus 6 may not boost hardware equivalent to that of the HTC One (M8). LG shares a cordial relationship with Google. South Korean giant LG should be given credit for making the Nexus brand more valuable than ever. The last Google-branded Nexus handset, the LG Nexus 5, was a huge hit. Google is expected to team up with LG again to produce the Nexus 6 at much affordable price. LG has already confirmed the G3 will sport a Quad HD ( 2560 x 1440) pixels resolution display. Since the next-generation Google Nexus 6 is said to be produced by LG, there could be a possibility to see the device packs a 5.5-inch Quad HD panel ( 2560 x 1440), protected by Corning Gorilla Glass, powered by a 64-bit Qualcomm Snapdragon chipset with 3GB RAM and run on Android 4.5. 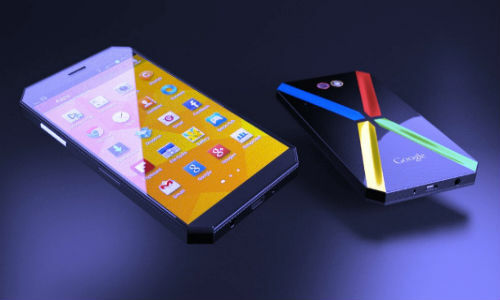 The successor to the Nexus 5 could be out in the market by October 2014. Taking the cue from Google Android Chief Sundar Pichai, the Nexus 6 is expected to be out in October 2014 at the earliest, says a new report.